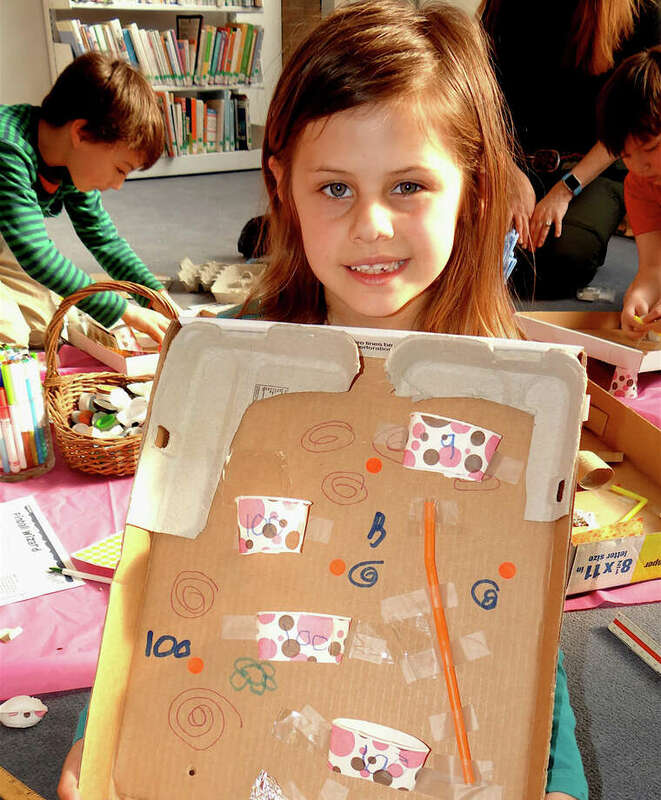 Gabriella Juliano, 6, shows off the pinball "machine" that she made last week at a Pequot Library workshop. FAIRFIELD — Young pinball wizards fashioned personal versions of the arcade classic at a Pequot Library workshop last week. “Pinball Wizard Science Fun” was among the library’s vacation week programming. Pequot Children’s Librarian Susan Ei led the session, offering background about and showing photos of pinball machines. She then showed a cardboard version she had made as an example, which integrated materials such as paper cups, jar lids, straws and tongue depressors to mimic actual machine features. The kids lit up at the challenge.